Managing Corporate Social Responsibility offers a strategic, communication-centred approach to integrating CSR into organizations. 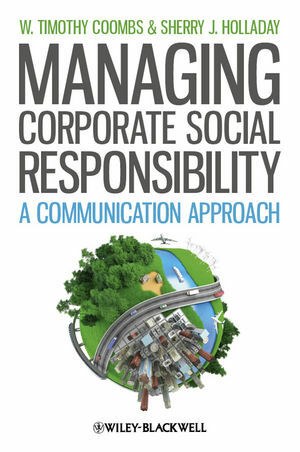 Drawing from a variety of disciplines and written in a highly accessible style, the book guides readers in a focused progression providing the key points they need to successfully navigate the benefits and implications of managing CSR. Offers international examples drawn from a variety of industries including: The Forest Stewardship Council, Starbucks Coffee, and IKEA. W. Timothy Coombs, Ph.D., is a Professor in the Nicholson School of Communication at the University of Central Florida. He is the 2002 recipient of the Jackson, Jackson & Wagner Behavioral Science Prize from the Public Relations Society of American for his crisis research. He is author of the award-winning Ongoing Crisis Communication (1999), Today’s Public Relations (with Robert Heath, 2006), and Code Red in the Boardroom: Crisis Management as Organizational DNA (2006). Sherry J. Holladay, Ph.D., is Professor at the Nicholson School of Communication at the University of Central Florida, Orlando. Dr. Holladay's research interests include corporate social responsibility, crisis communication, activism, and reputation management. Her work has been widely published in journals. 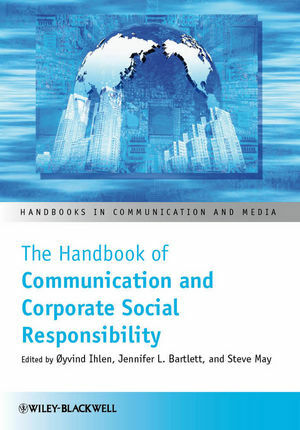 Together, Timothy Coombs and Sherry Holladay are authors of the award winning books It’s Not Just PR: Public Relations in Society (2007, Wiley-Blackwell), PR Strategy and Application: Managing Influence (2010, Wiley-Blackwell) and co-editors of The Handbook of Crisis Communication (2010, Wiley-Blackwell).